HIFU interacts with tissues in 2 ways: thermal (heating) and non-thermal (cavitation). The thermal effects are the result of the absorption of the acoustic energy in the tissues due to generation of viscous friction. 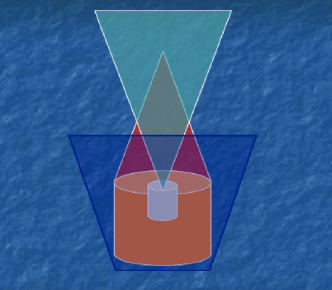 Cavitation is a mechanical process which occurs at high acoustic intensity when the water in the tissue vaporises rapidly, forming micro-bubbles which rapidly expand, then collapsing and releasing shock waves and fluid jets at high speed and extremely high pressures, above 30 kbar, and temperatures in excess of 20,000°K.As a result of these 2 mechanisms, the temperature in the selected point rises to over 55°C. If this is maintained for more than 1 second, coagulative necrosis occurs with immediate cell death. 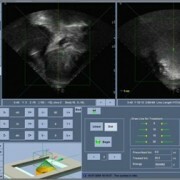 The ultrasounds are emitted by several transducers. The beams converge at a focal point so that when they come into phase, energy is released, causing necrosis in an area of 2-3 mm. Histologically, the tissue damage produced is exactly the same as with radiofrequency, i.e. coagulative necrosis. The area of thermal damage can be modulated by changing the ultrasound intensity, frequency or exposure time. The thermal effect is predictable and reproducible. 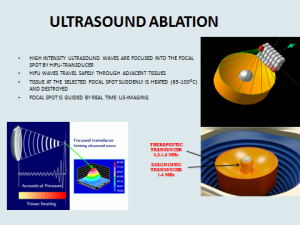 Many different clinical applications of ultrasound ablation are being developed for benign and malignant tumours of the breast, prostate, liver, pancreas, bone, thyroid, parathyroid and uterus. There are currently various devices on the market for HIFU treatment. For the specific treatment of fibroids, there are a number of alternatives, either MRI- or ultrasound-guided. Technologically, the ultrasound transducers are very similar, the only differences being the power and degree of versatility. 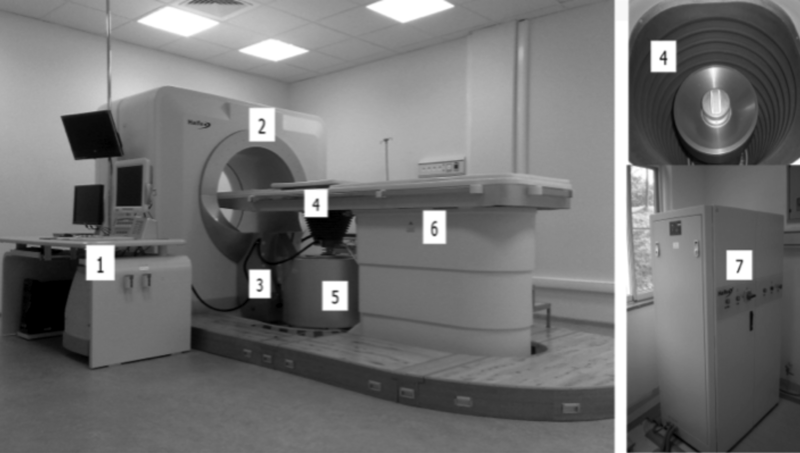 Here at our Institute, we use the HAIFU JC model, in which the therapeutic ultrasound transducer has an integrated diagnostic ultrasound transducer; this can be moved in all 3 planes and is built into a reservoir containing degassed and chilled water over which the patient lies prone (Fig. 1). It consists of a built-in water treatment unit and power-generating system. -The second monitor controls the therapeutic process. All information on the treatment can be viewed on the screen, the section being treated, the focal point, the mode of treatment (linear or phased), the acoustic intensity, the exposure time and the position of the therapeutic transducer. -The third monitor controls the diagnostic ultrasound and allows us to monitor therapeutic effects in real time, assess vascularity by Doppler or perform ultrasound contrast study.